From hunting rare bugs to harvesting the world’s most expensive plant parts, conservator Cheryl Porter will try almost anything to learn more about pigments from the past. These colours weren’t only used to illuminate manuscripts and paintings – they were also important medicines, and artists would often source the raw materials for their work from the pharmacy. We arrived in the cold dawn and waited for the bugs to emerge. 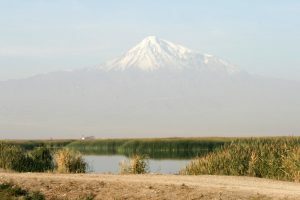 As the sun slowly warmed the earth, and Mount Ararat glowed in the distance, red insects could be seen crawling through cracks in the grey-white earth. There were once so many of these creatures that records say local sheep’s feet were stained red. Today there are very few, though no one knows why. They live underground and only emerge to mate for a couple of weeks at the end of September. The day was heating up and the insects would soon disappear again. We collected a small yoghurt pot full before they did. 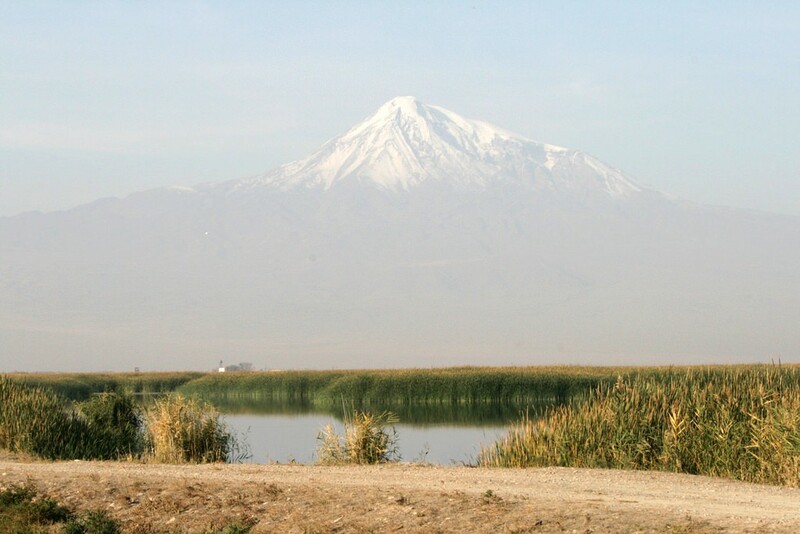 Ararat cochineal is made from the body of a female insect, Porphyrophora hamelii, found close to the Arax River, which separates Armenia and Turkey. My guide was Dr Sahakian, a traditional doctor who uses the insects to treat his patients with joint problems. But my interest was in its use as a pigment. The Armenian name for it translates as ‘blood of the worm’, which makes sense, as the colour it produces is fresh blood-red. 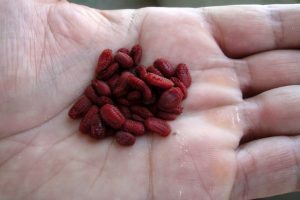 Ararat cochineal is made from the body of the female Porphyrophora hamelii insect. A couple of years earlier I’d been in Kozani in north-west Greece to help with the saffron harvest. The plant grows close to the ground and each flower has to be hand-picked in order to obtain the three stigma that grow inside. 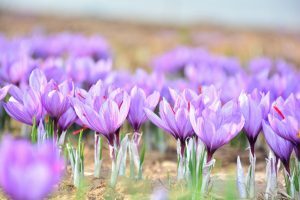 You need at least 60,000 of these stigma to make 1 gram of yellow pigment, or between 100,000 and 140,000 flowers to make 1 kilogram of saffron spice. It’s the most expensive spice in the world – literally worth its weight in gold – partly because it’s so backbreaking to collect. How had I found myself in these places and doing these things? It was all thanks to a painted fragment from a medieval manuscript, found in an abandoned library I was working at in Montefiascone, central Italy. I wanted to know more about its intense and vivid colours, but it wasn’t easy to find out exactly what they were. 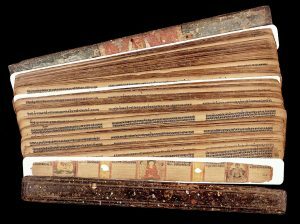 No chemical analysis was being done on the pigments used in manuscripts, and I had misgivings about what academics were saying about them. So I decided to investigate – by looking for early recipes and seeing if I could make the colours myself. In Armenia, I discovered it wasn’t easy to kill the insects needed to make cochineal. They were still running around even after they had been washed, dried and put in the fridge. Dr Sahakian explained that we should roast them gently, after subjecting them to vinegar fumes. Once they were finally dead, we had to soak them in alcohol to get the fat out. This process can take months – you leave them in the alcohol until you can see the fat forming in a layer above the insects. To then turn the insects into a pigment, you heat them in water, add alum, then potassium. The potassium causes a volcano-like effect as the colour chemically fixes itself to the alum, eventually sinking to the bottom of whatever vessel you are using. You then pour the water off to leave behind what is called a ‘lake pigment’. To paint with this, you need to add a binder, such as gum arabic. 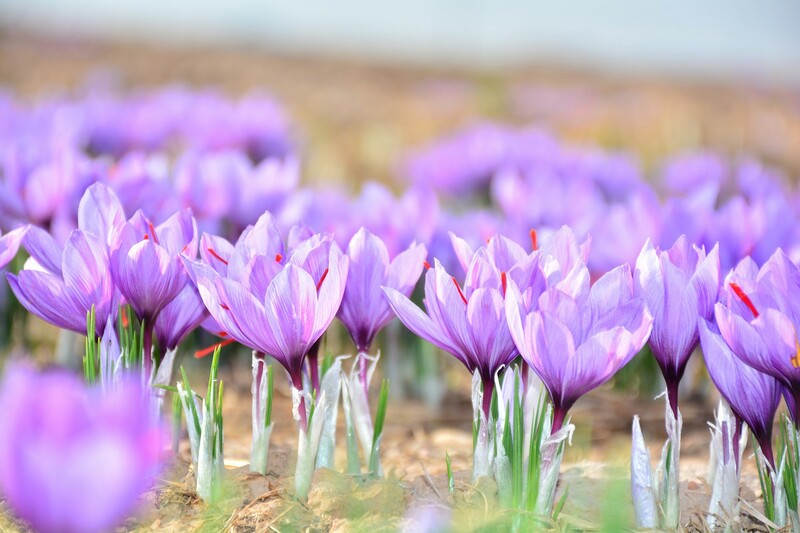 Crocus sativus is harvested for its orange-red stigmas, which are dried to make saffron. Processing the saffron was equally hard work. First we twisted off the whole flower tops and put them into hessian bags. These were later tipped out onto a circular rotating table that was covered by a rubber mat, with small ‘fingers’ about a centimetre long. A fan blew the flowers as we spun the table. The flower petals blew onto the floor, while the yellow stamens and red stigmas were caught in the rubber fingers. They were then collected and put into a wire tumbling basket. When it was turned, the stamens dropped out, leaving the red stigma behind. These were dried overnight before being packaged and sold. They sell this saffron at my local deli in London – it costs a fortune. 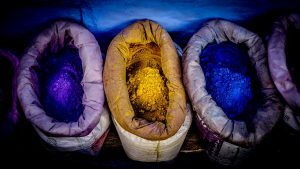 Although harvesting and processing cochineal and saffron is time-consuming, it isn’t dangerous – but making pigments could be. Vermilion, for example, is made by combining mercury and sulphur. Mercury’s vapours can penetrate the skin and attack the central nervous system, and symptoms of mercury poisoning include trembling, depression and memory loss, or even hallucinations, delusions and psychosis. Despite this, it was once used medically to treat syphilis, typhoid fever and parasites, as well as for filling teeth, often causing more harm than good. Vermilion was used in this Latin manuscript dating from the 15th century. The knowledge of how to make vermilion from mercury and sulphur was rare until around the 12th century. 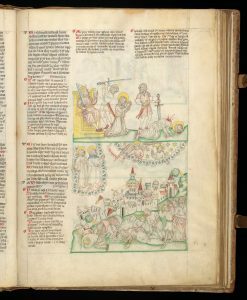 For this reason, it was used sparingly in manuscript painting in the 11th, 12th and even 13th centuries, mostly being used for important headings and for so-called ‘red letter’ days. However, by the 15th century, the manufacture and use of vermilion was widespread. The painter Cennino Cennini noted that it was easier to buy it from the druggist than to waste time preparing it. Where vermilion was used to create a brilliant red, saffron was used in manuscript painting to produce a pure yellow, one with no hint of green. Persian painters often used a mix of saffron and verdigris to obtain a beautiful pistachio colour. Several Persian recipes from the 18th century suggest that this mix prevents the verdigris from damaging the paper. Did they know about its antioxidant properties even then? Zoroastrian priests wrote special prayers in saffron ink to ward off pests and evil spirits, while medieval recipes suggest taking saffron to calm the nerves, as a sort of natural Prozac. Saffron was also used traditionally for asthma and coughs, to loosen phlegm, and to aid digestion. Another pigment with medicinal properties is indigo, which has been used as a dye since at least 500 CE. The process of making it is long and complicated, and was a closely guarded secret. In medieval times, blue dyers were the elite of their profession: if you knew how to dye with it, you only dyed in that colour. In manuscript painting, indigo was often used because it was the cheapest of the three blues. The other two are mineral blues – azurite and lapis lazuli (ultramarine). 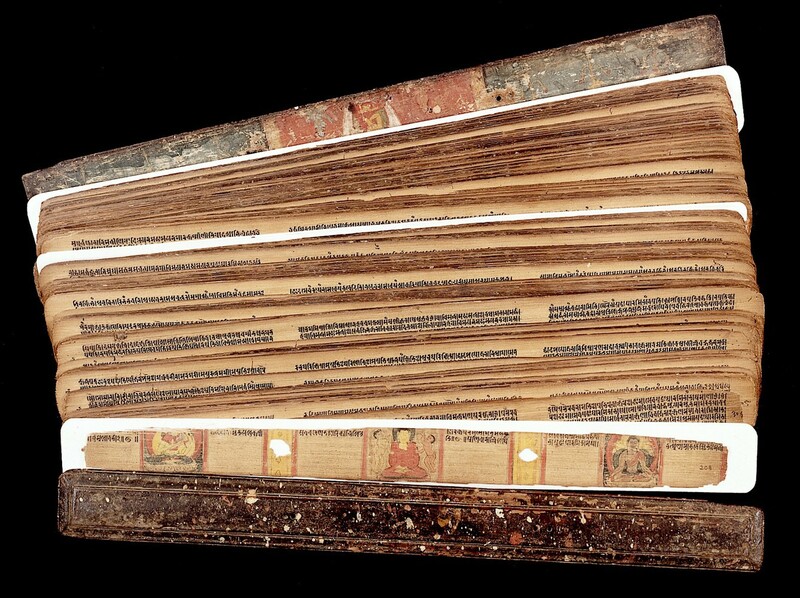 Indigo was used in this Sanskrit manuscript, which is over 1,000 years old. Indigo-dyed fabric was believed to have calming properties. The Osage Native American people used the indigo plant for eyewashes, and the Cherokee brewed it as a tea to prevent vomiting. Pulverised root or hot indigo tea were useful to relieve toothache. It was also thought that indigo could help control bleeding and abscesses. Exploring how pigments are made is revealing important things about our history, including trade. It’s important for conservation too. Conservators need to know about their materials, especially organic colours, so we can conserve them properly. 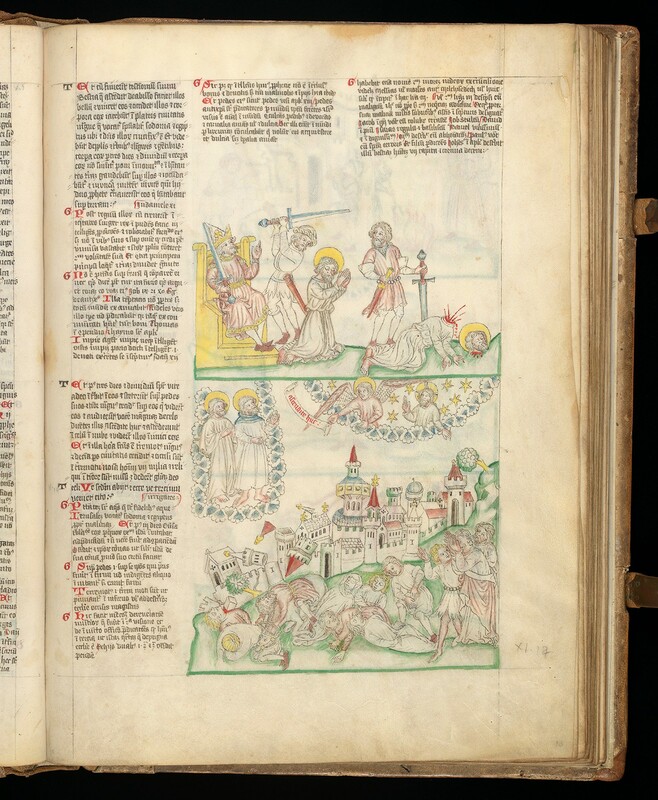 Knowing more about pigments helps inform how manuscripts and artworks are exhibited, stored and treated. And we’re discovering that just about everything an artist painted with, or a scribe illuminated manuscripts with, also had a medical use and could be sourced from the pharmacy, which is both brilliant and extraordinary. Originally published by Wellcome Library under a Creative Commons Attribution 4.0 International license. This entry was posted in Art History, Disease, History, Medicine. Bookmark the permalink.